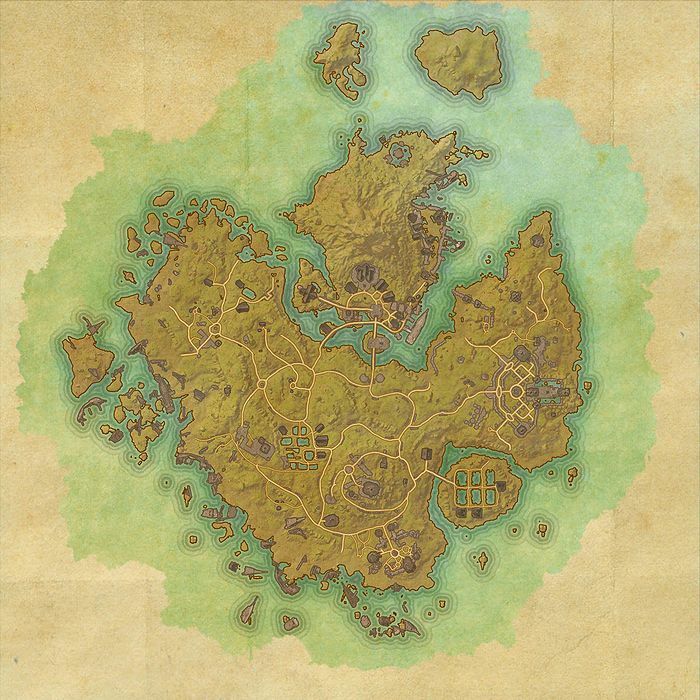 Khenarthi's Roost is a small island off the coast of Elsweyr inhabited by both Khajiit and Maormer, named for the Khajiiti goddess Khenarthi. 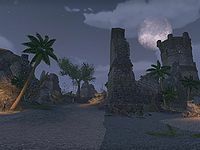 The island is dotted with moon sugar plantations and is a location of both active Khajiiti worship and Maormer magic, as the Khajiit signed a peace treaty with the Maormer which allowed them to settle on the island. The island is under negotiations for inclusion in the Aldmeri Dominion, but the negotiations are being hampered by the existing Maormer treaty. Meanwhile, the Dominion are actively combating skooma production in the area. The island is where Aldmeri Dominion players begin their journey after escaping Coldharbour. Over the course of the Dominion questline, you discover that a devastating storm recently hit the island; it is revealed the storm was conjured by the Sea Vipers, a group of Maormer who oppose the planned inclusion of the island into the Dominion. Broken ships litter the south and west sides of the island, and the village of Cat's Eye Quay, near the port city of Mistral, is almost completely gone. Dark Knowledge: Find and destroy three deadly tomes. Moon-Sugar Medicament: Rescue a young Khajiit from his skooma-smuggling captors. A Pinch of Sugar: Help Juranda-ra save her plantation. A Skyshard "Surly root-chewers burrow nearby"
A Skyshard "Sighted by serpents in Mistral"
A Skyshard "Wooden bones, awash in ruin"
A Skyshard "Abandoned before mourning"
A Skyshard "Southern temple's hidden jewel"
A Skyshard "Exposed to sky, surveying the strand"